Without the proper tools, stripping wires can be a pain. We just want to be able to do the job and move on, but far too often things go south and that's usually because we are using the wrong tool. Try this self-adjusting wire-stripper from Irwin, might just be the easiest way you could possibly strip a wire, as it literally takes a fraction of a second. This tool is self-adjusting so it will strip wire from 10 to 24 AWG with the handy self-adjusting mechanism. To use it just insert a wire, squeeze the handle, and the device will self-adjust to fit the exact wire size you're using and strip the wire in a fraction of a second. You can also control the length of the core strip with the built-in adjustable stopper. It will also crimp 10-22 AWG insulated, 10-22 AWG non-insulated, and 7-9mm ignition terminals. You can even Strip wire from 10-24 AWG while the swivel knob micro-adjusts to strip gauges smaller than 20 AWG. As you can see by the features, this tool is a real time-saver and it will get the job done right every-time. 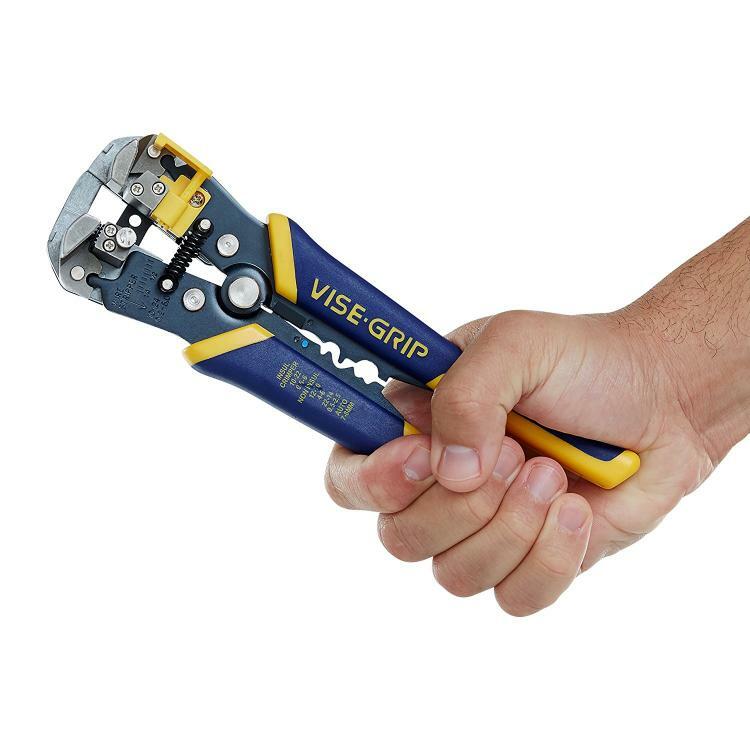 A perfect gift idea for Dad, this handy tool is not only great and super easy wire-stripper, but it can also be used as a vise grip and wire crimp. So it's really many tools in one. Use the extra time you save to do other fun projects and really get things done. If that isn't enough, it also has a lifetime guarantee. Irwin makes tools that last. They've been doing it since 1885. This one is a real winner.